This style is being discontinued. Only select sizes and widths are still available. Features a conformable 3/16” Plastazote top cover for continuous protection and comfort. Base made from ED-9 Polyetherdiol urethane, a state-of-the-art heat moldable base compound that absorbs shock forces and cushions the plantar aspect of the foot. 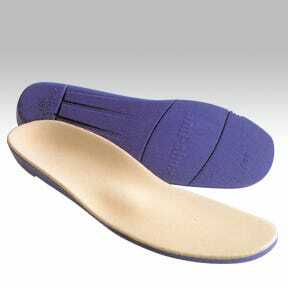 This resilient orthotic supports the arch and unloads stress at the forefoot while sitting naturally in the shoes. Tapered at the toe and easy to trim and grind.